Sample project with PHP source code and SQLite database. 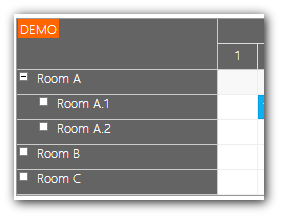 Configure the cell dimensions using .eventHeight and .cellWidth properties. Set the time scale (cell duration) using .cellDuration property. Set the date range using .startDate and .days properties. Use .cssClassPrefix property to apply a theme. Include the theme stylesheet. You can create your own CSS theme using the online WYSIWIG theme designer. Enable scheduler resource tree using .treeEnabled property and set .resources as needed. 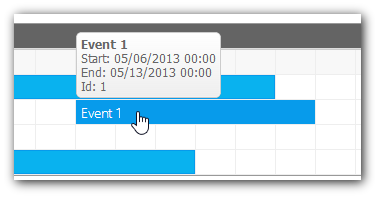 Use .onTimeRangeSelected event to handle event creating. Display detailed information about an event using DayPilot.Bubble. See also .bubble property.